I am delighted to announce that all funding is now in place for ‘A Ploughed Heart’, my new play about George in Coventry. 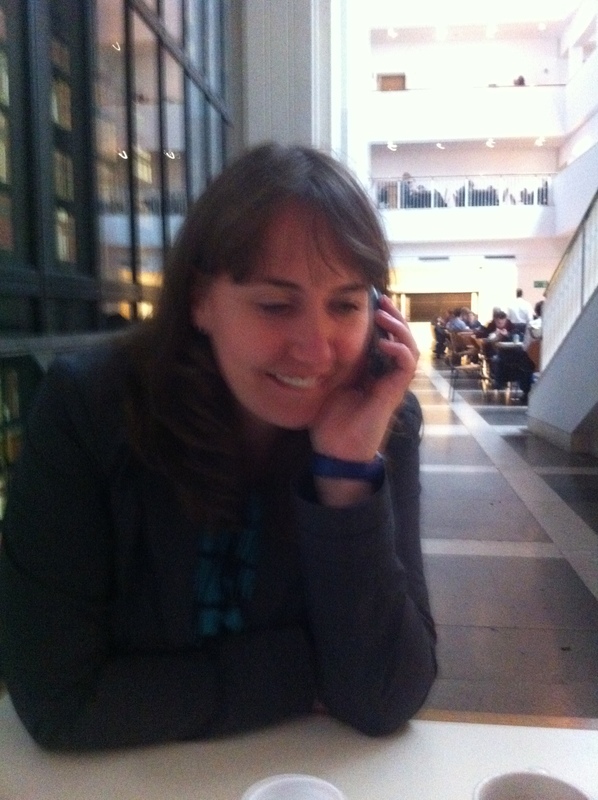 The photo above shows me receiving the good news about funding in the cafe at the British Library. Later that same day I joined other members of The George Eliot Fellowship and The Rev Edward Pogmore (chaplain of George Eliot Hospital) at Westminster Abbey for a wreath-laying ceremony in Poet’s Corner. The private ceremony which included laying a wreath on George’s memorial stone was well attended and filmed by the BBC for a documentary about life at the Abbey. ‘A Ploughed Heart’ is funded by Arts Council England, The George Eliot Fellowship Council and Coventry City Council Small Arts Grants and supported by Coventry University School of Art and Design. I will be researching and writing the play over the next twelve months supported by dramaturg Ola Animashawun. The process will also include three free events for the public in 2013 and competition give-aways so do continue to check in with the blog/subscribe for regular updates. Wonderful news Ness, well deserved. I’m so pleased to know your new work will be developing along with more connections to GE. I have learnt so much more about her through your work. Thank you. Hope the trip to Florence is a success – would be good to meet up when you get back.